Disturbing ambient sounds on a pro-copied black CD-R in DIN A4 PVC-sleeve. 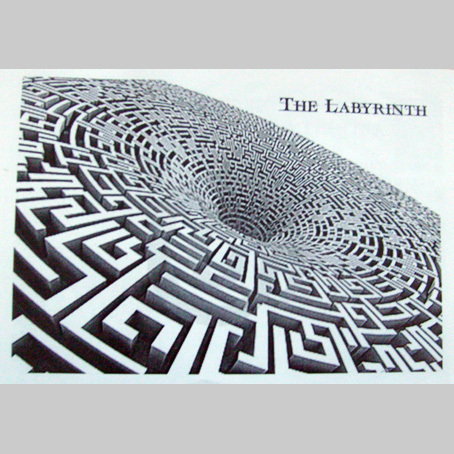 The release's topic is about a man who is placed into a labyrinth but and doesn't know how he came there. Now he has do do a long long voyage, forced to look and think about his life. Finally finding out of the labyrinth he has to face the fact the it's not the place where he came from, but another dimension or world unknown. 50 copies, only two last copies available here.